Shoreline's natural beauty and convenient location to the north of Seattle have long been prized by suburban residents. The city has an abundance of public parks and is home to the Highlands, one of Seattle's most exclusive neighborhoods. It has even been voted one of the top 100 best places to live in the United States by Money Magazine. Located on the I-5 corridor, Shoreline is a commuter's paradise with direct routes to the University of Washington, downtown Seattle, and Boeing's facilities in Everett. In the near future Sound Transit Light Rail service will improve transportation further, and the City is enacting initiatives to make the most of the changes. In anticipation of the two new Light Rail stations coming to Shoreline (see below), the City kicked off planning to accommodate the future growth boom in those areas. The plan thus far includes extensive re-zoning to encourage development around the stations, pedestrian, street, park, and utility improvements, all with an eye to an anticipated spike in population. Strategically located near the Shoreline transit core, the Alexan is one of the newest private housing developments in Shoreline. Consisting of two buildings and totaling over 398,000 SF, it will feature 309 apartment units and street-level retail space. 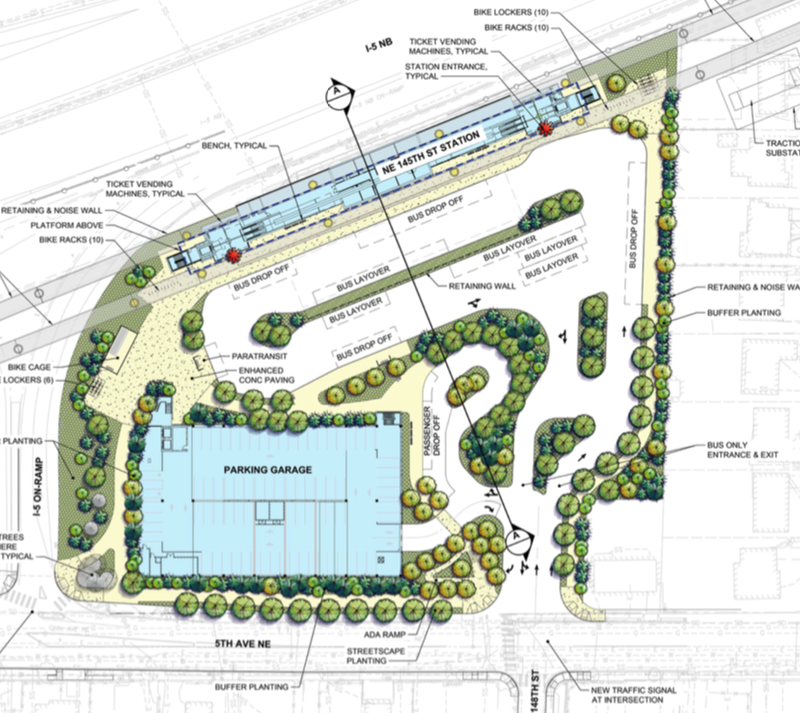 In addition to 297 parking spaces, 199 bike parking spaces are part of the plan, catering to all types of commuters. A private west coast developer recently purchased Aurora Square, a shopping center anchored by Sears since the 1960s. They plan to turn it into a local mixed-use hub for the 21st century, updating the center and making it a gathering space for the entire Shoreline community. 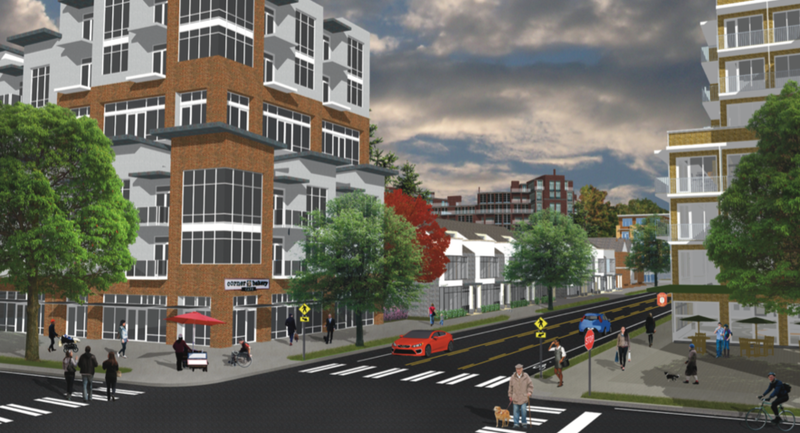 Showing their commitment to Shoreline, the developer's first step is crowd-sourcing ideas for what local residents would like to see as part of Shoreline Place. 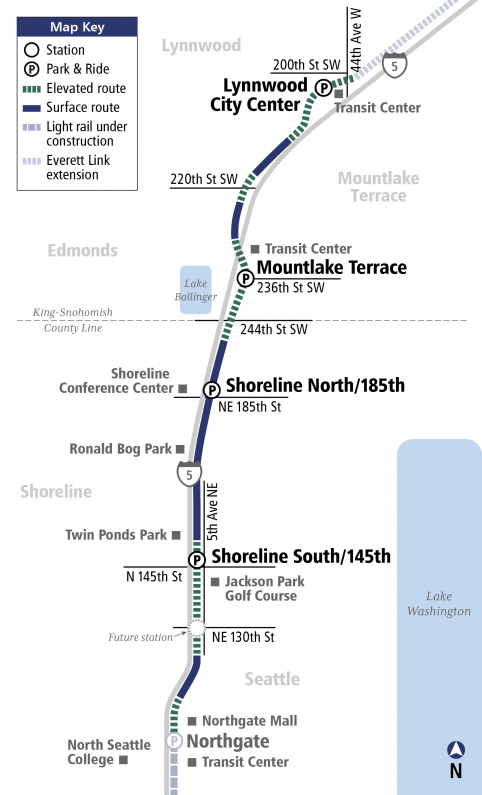 Sound Transit's $2.9 billion Light Rail extension connecting Lynnwood to Northgate will pass through Shoreline, creating two new Park & Ride stations. Construction of new parking garages in anticipation of high ridership and associated pedestrian improvements are included. Construction will begin in early 2019 and is expected to finish in 2024. Once complete, Shoreline commuters will enjoy quick and easy rides to SeaTac airport, downtown Seattle, and the Eastside. Eventually, further expansion of service via Sound Transit 3 projects will connect Shoreline to Tacoma and as far north as Everett. The Sound Transit 3 expansion will establish Bus Rapid Transit service from Shoreline to UW Bothell, passing through Kenmore and with more limited service continuing into Woodinville. BRT provides fast, reliable bus service every 10 minutes in peak hours. The new BRT stations and transport corridors will provide a direct line across the north side of Lake Washington for riders to access Shoreline and its future Light Rail station.